These organic feeling towels can update your bath. This simple design makes changing toilet paper easy. not keep appliances plugged in but this is the only one that I do). 4. Fluffy Luxury Fieldcrest towels from Target. Stock up on well priced white towels! I usually buy white for all the bathrooms for a hotel feel. We have had house guests who love them much they go home and buy the same towels. Try to install the mirror near a window for better lighting. This mirror is from Restoration Hardware. There is a slightly better chance that the towels will not end up on the floor. Place a hook conveniently near the shower door. This one is from Restoration Hardware. 7. 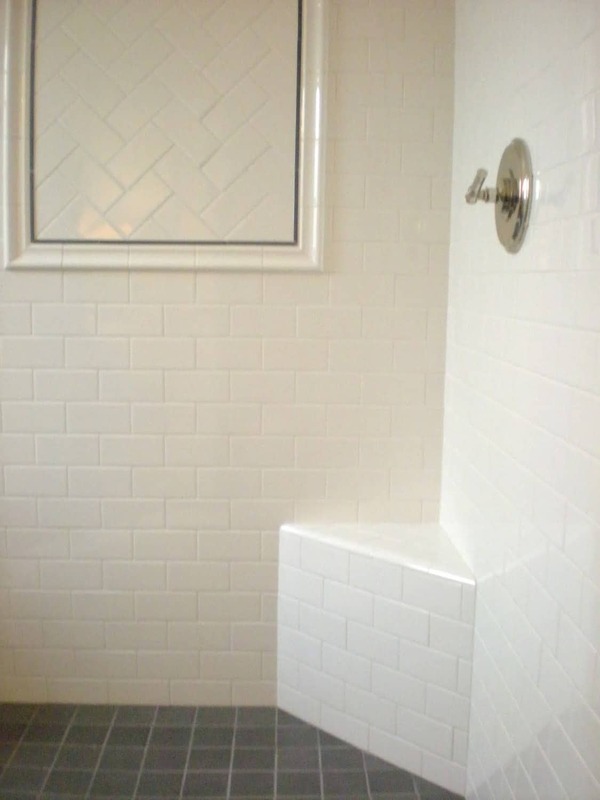 When renovating a shower, add a built-in seat or ledge for leg shaving. I like to place funny cards in the cabinet to give guests a smile. Great ideas. I love the towels from West Elm. Oh, and the funny card idea in the cabinet! Wow, great finds, Mary Ann! Thank you for sharing. Hope that your week is off to a great start. Great ideas especially the wall mounted mirror near a window. These are all such wonderful ideas. Especially the blow dryer one. Hate having to get it out and set up everyday and my girls leave it out all the time. I just need extra drawers. All excellent ideas, especially the outlet for a hairdryer built in…pure genius! I also agree about the hooks being easier and taking up less space. Such great ideas! Just kidding…we're one of those "house divided" families. Gators/Dawgs! 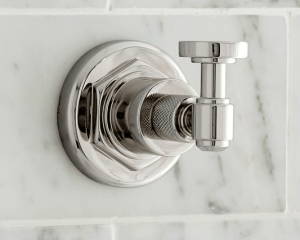 I have many of the same bathroom items – the Restoration Hardware extending mirror, the hooks next to shower door, the seat in the shower, built in medicine cabinet (in other baths but not the master), and have to remember the hair dryer outlet – I especially like that one. 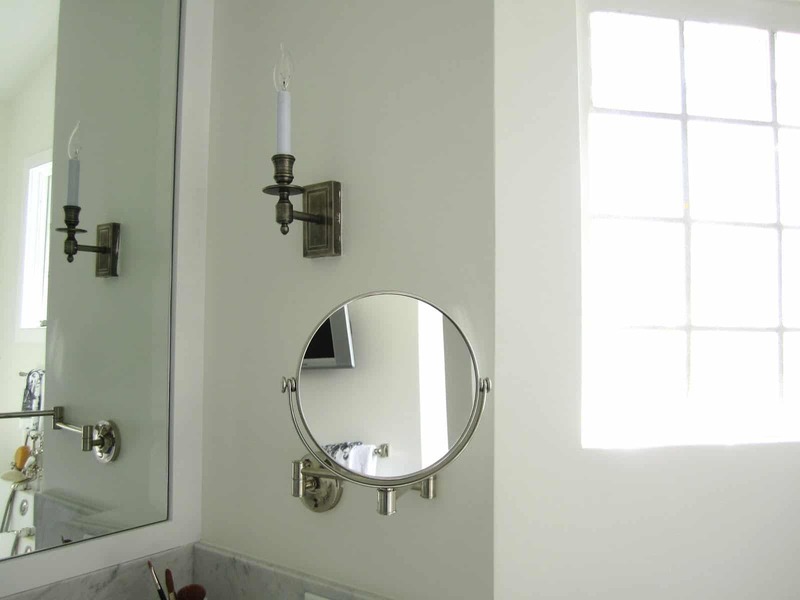 Must add though that I have had to replace several of the Restoration Hardware products with better quality ones – mirrors broke twice and hooks fell out of wall twice – but still love the ideas!! Love those towels from West Elm and seeing your bathrooms! My kids always write sweet little notes to leave behind for my husband when we travel without him. 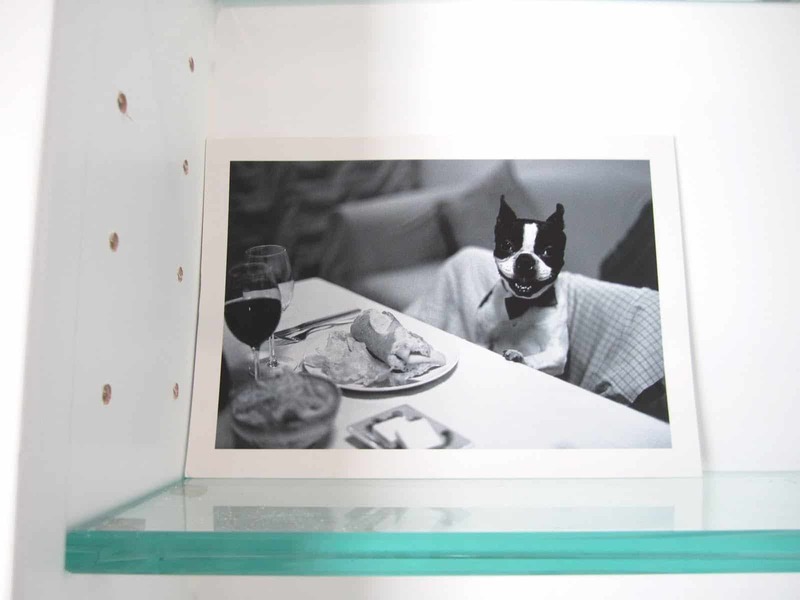 I've never thought to leave a note or photo for my guests…that's so thoughtful. I have never heard of West Elm, I have to check it out. The towels are lovely! All great ideas…I love West Elm too. That tiled shower is lovely, so simple and clean. This is my first visit to your blog and I must say your home is beautiful. I can't wait to go back and read other posts. 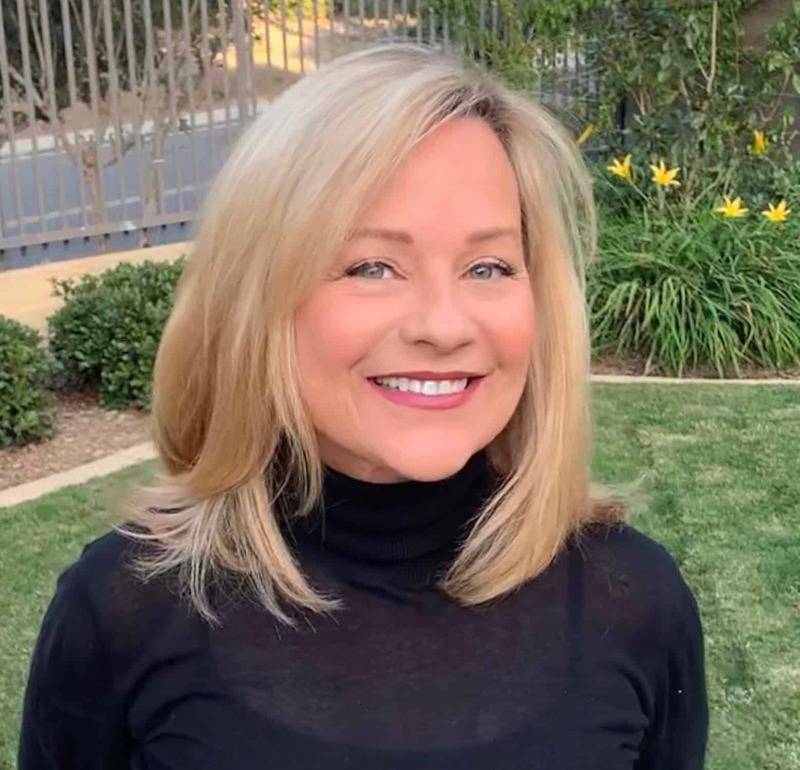 Great post with smart and practical ideas, Mary Ann. I especially like the hidden outlet in the drawer. The funny card in the cabinet is pretty special. You must be a wonderful hostess. All great! I wish there was no such thing as a twel bar…hooks are just the best! 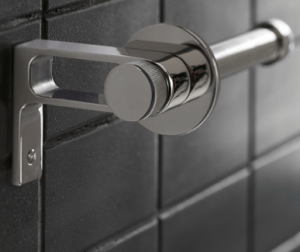 Great, practical ideas for the bathroom! I also love those Thomas O'Brien towels and have had guests ask where I got such soft towels! Gotta love Target! Thanks for stopping by to comment on my post, otherwise I wouldn't have found you! I just discovered your site. I'm going to add you to the list of blogs on my site. Very nice. I love the towels from West Elm. 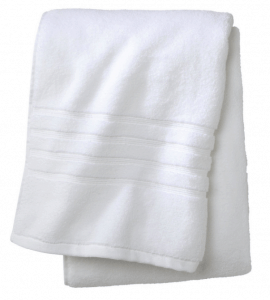 And the Thomas O'Brien towels, are they very good quality? They look nice and the price is right. I look forward to exploring your blog more. 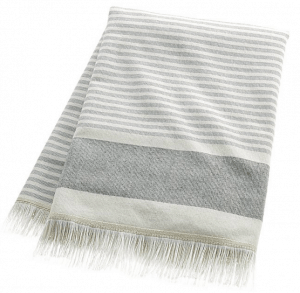 Those West Elm towels have been on my wish list for a while now. 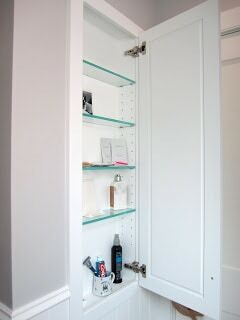 Love the idea of shelves built into the wall (recessed) in a small space. I really love it all for a great guest bath (or any bath for that matter!! I love the towels!! The texture on the hand towels is so nice! Love your ideas. Never thought of the simple TP holder–it does make it easier. My favorite is the picture in the cabinet. A touch of whimsy is always wonderful! What a great idea to put an outlet in the drawer! I will also check out those white towels from Target. 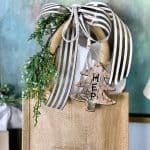 Great ideas – I love those west elm towels! Hi Mary Ann! Your choices are all great – LOVE that you put the funny card in the cabinet 😉 It must be such a treat to be a guest at your home! Elecrical outlets are like storage. More people find themselves without enough than with too many. Closets are also a great place to have one installed. what a fabulous post. i miss living in a house built by my hubby—i always had him put an outlet in a bathroom drawer for my hair dryer. and i am in total agreement about the easy change tp holder, bench in the shower, mirror, and hooks instead of towel bars. 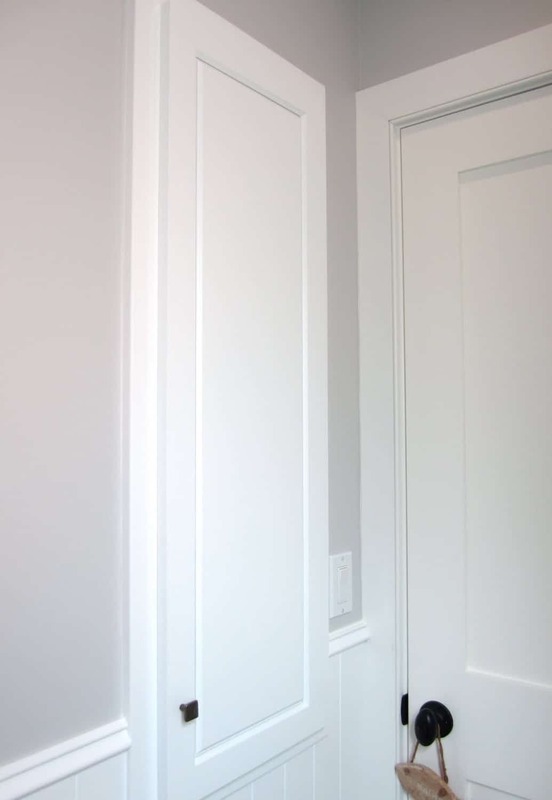 LOVE your extra built-in between the studs. you can never have too much storage! Joan, love the towel hook idea. 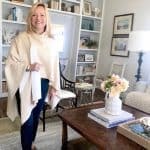 I wonder how you would feel about me adding that idea (with your picture, blog name, and a link) to my "Stylish Living with Kids and Pets" tab? Crud! I can't believe I just called you Joan! So sorry, Mary Ann! Those are such great ideas. I have done a few of them but now I want to get busy on the rest. Love the Target towels too! And especially the little place for cards and other little surprises. That's sooo fun!! And rather unexpected. Hope you're enjoying a nice summer. I so love your functional ideas – the natural light mirror, the seat in the shower. And the whole thing LOOKS delicious as well – you got it right. 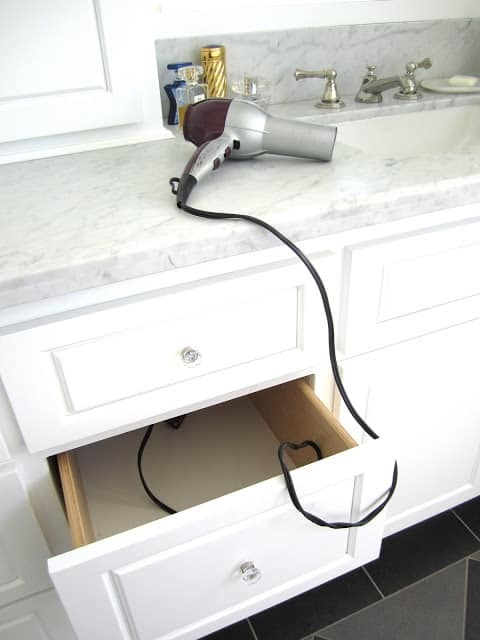 loving the built in hair dryer…and the restoration mirror! I ♥ your ideas! My girls like to hang the towels up on the hooks in the bathroom till they are about to fall off the wall. We have 5 hooks and for some reason they hang all the towels on ONE hook! Perfect ideas for the bathroom checklist. Everyone can include these eight into the equation. Great towels are always appreciated too. 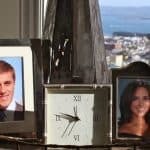 With family and guests coming and going having a clean five star hotel feel is a lovely way to say "Your Welcome Here". 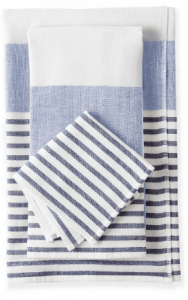 I was just in West Elm yesterday and saw those yummy towels and so much more! I agree…love me some fluffy white towels. And…hooks. No to towel bars! Great ideas! We need to update two of our bathrooms asap. 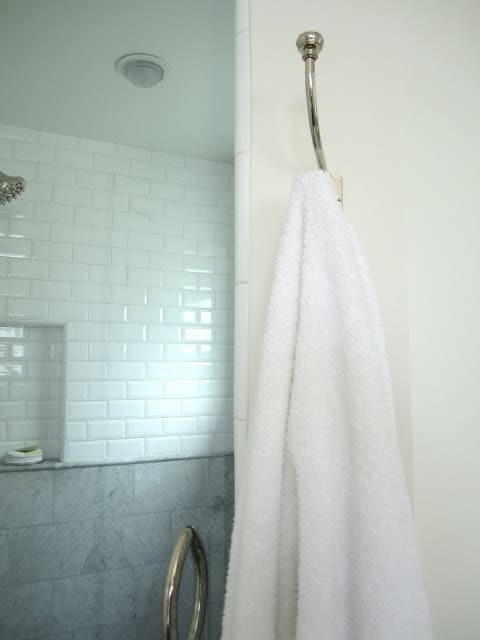 I really like the idea of hooks instead of a towel bar. So many great ideas and all things I need to make note of! Thanks for sharing them with us at Inspiration Friday!